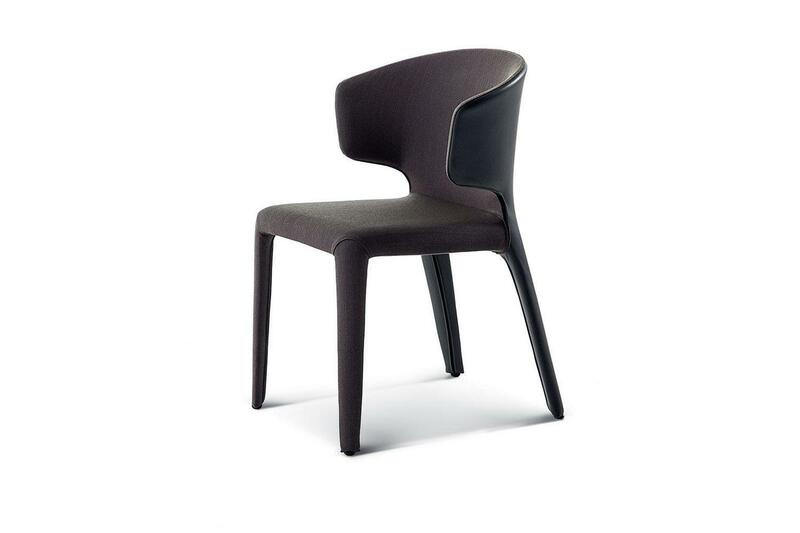 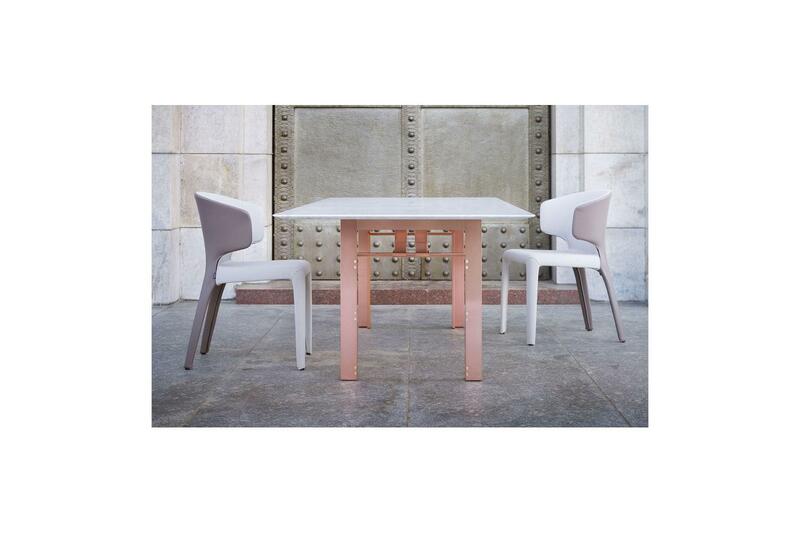 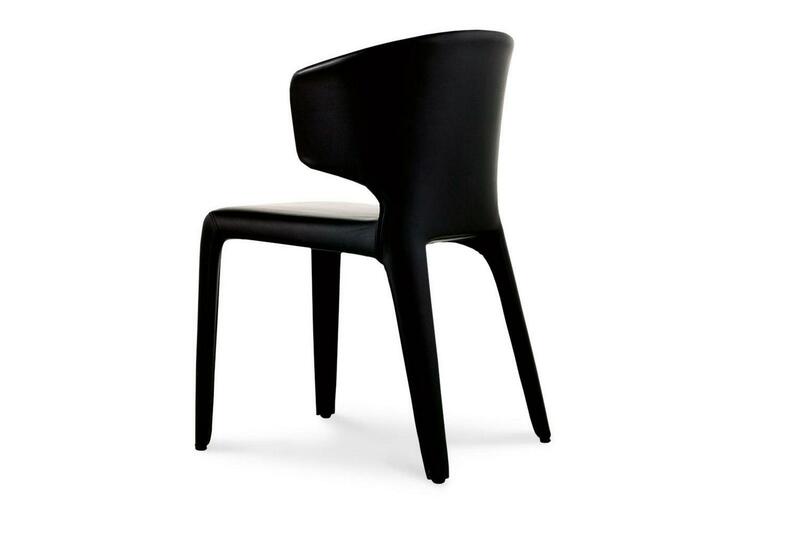 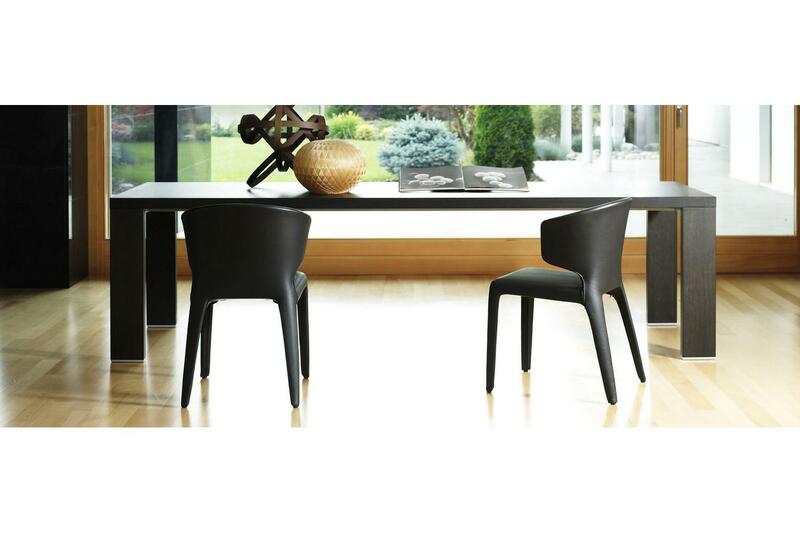 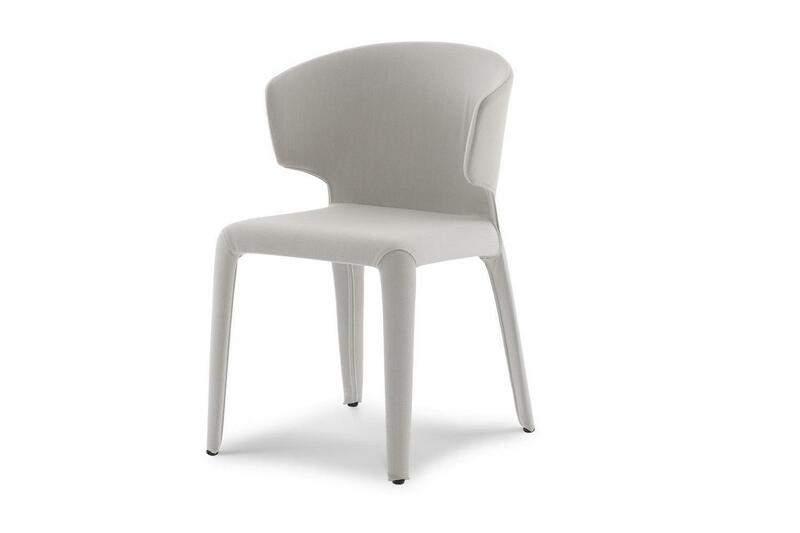 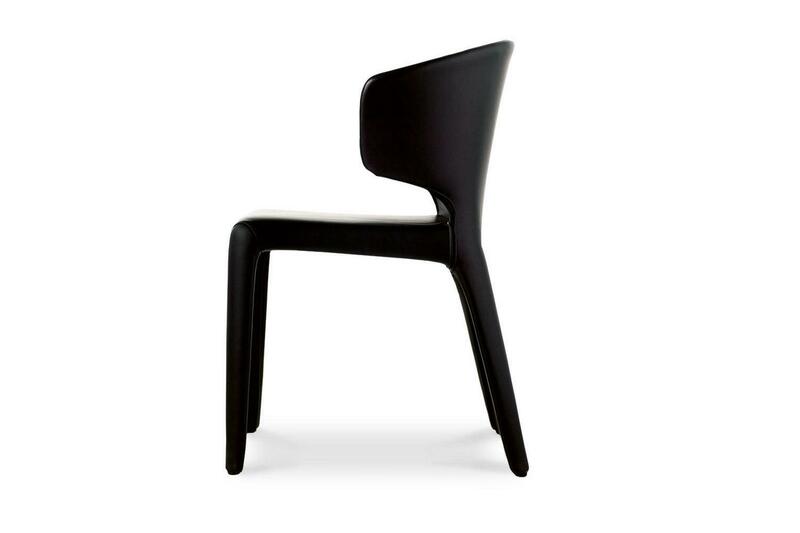 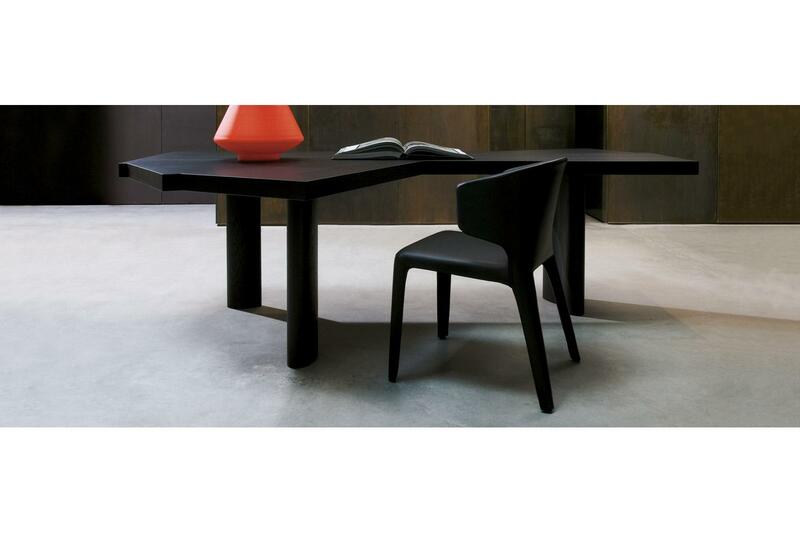 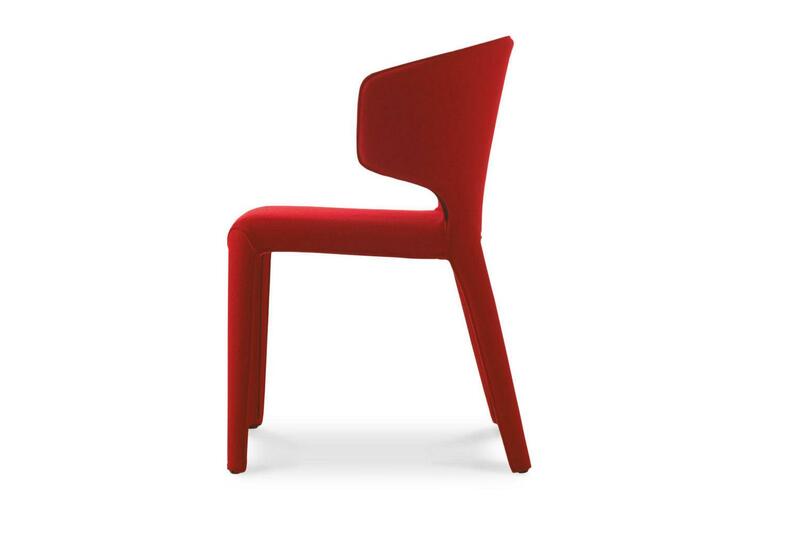 Chair with arms, internal steel structure, padded with CFC-free polyurethane foam. 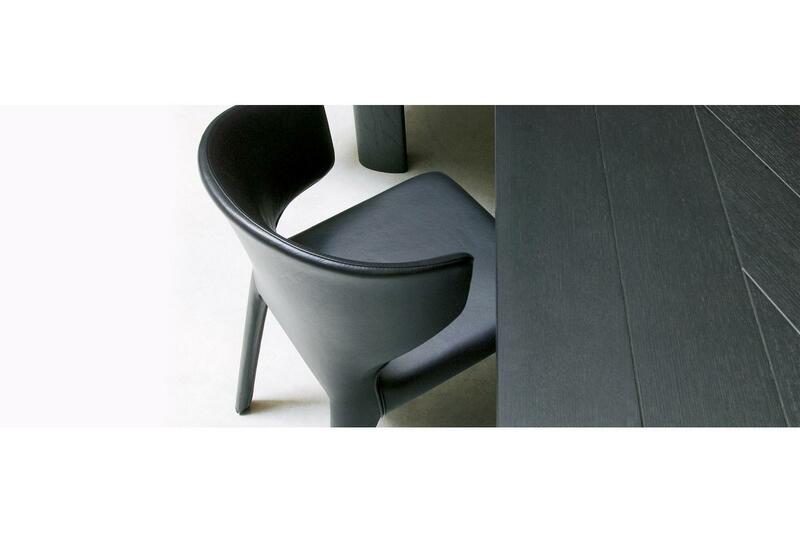 Feet in black plastic material. Covers in removable fabric or soft leather. 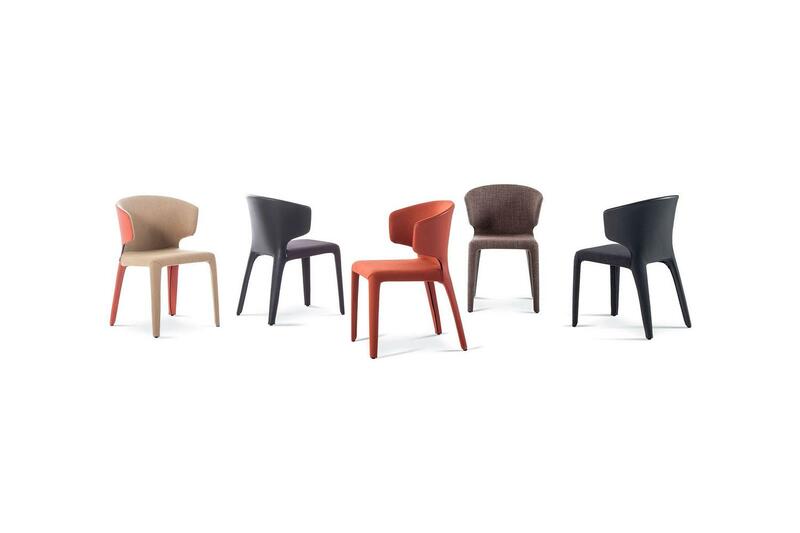 The catalogue configuration has been expanded with the introduction of a new version finished with a combination of two materials: external shell in leather and internal part in a range of selected fabrics.